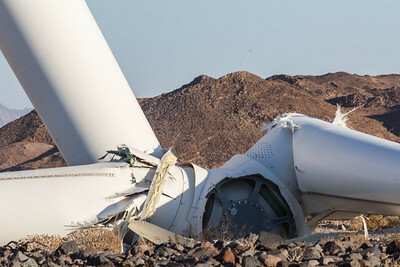 Turbine illuminated by red aircraft warning light. 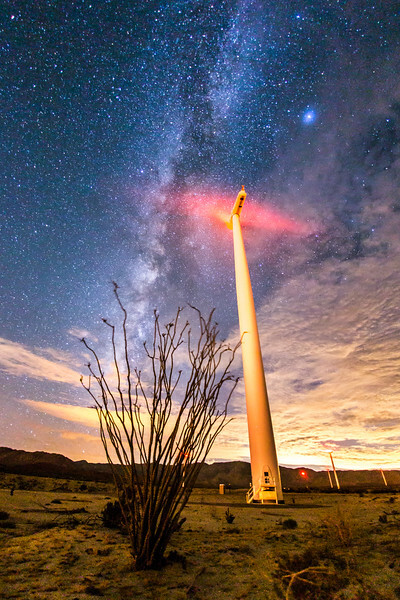 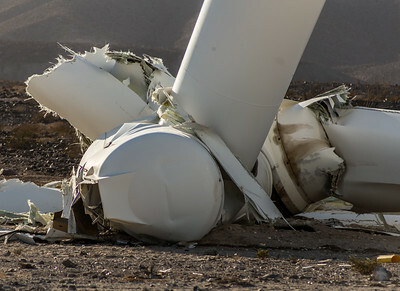 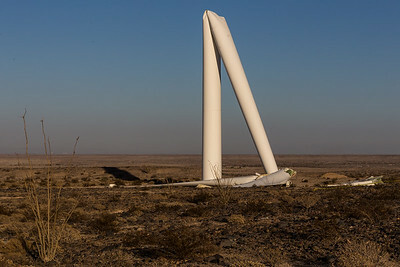 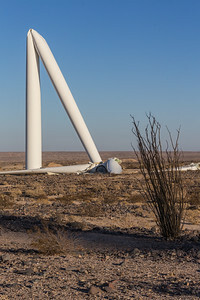 The Ocotillo Express Wind Energy Project contains over 100 Siemens SWT-2.3-108 wind turbines and is located on BLM land outside of Ocotillo, California. 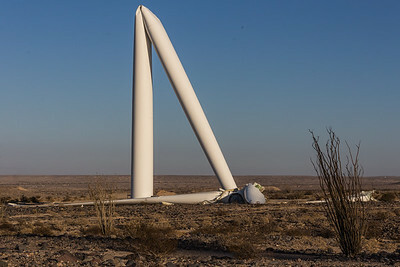 The equipment is maintained by Pattern Energy Group LP.